Imprint Method: Silkscreen, Imprint Method: Pad Print, Imprint Method: Hot Stamped - There is simply no better way to present a proposal, project or study where contents must be grouped or organized than this six-pocket presentation folder! 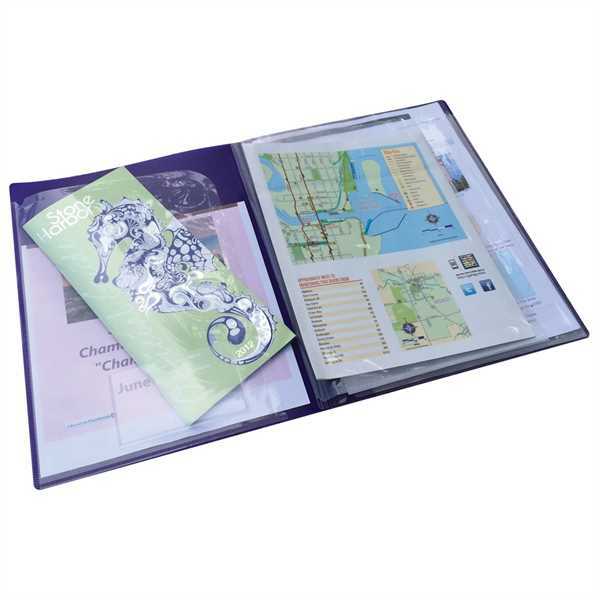 It includes six full-size pockets to keep everything neatly organized and securely together. The first pocket has a business card holder on inside flap. It can easily be customized with your unique art or logo. This product is perfect for insurance, education, medical facilities, school offices, estimators and receivers alike! Size: 9 1/4 " x 12 " x 3/8 "